It’s no secret that I buy a lot of fresh fruit & veggies! If you follow me on instagram, you would know that my house is always full of fresh fruits and colourful veggies. But how do I keep it all fresh and stop it from going off before I eat it all? I have some very simple hacks that I use to ensure my fresh food stays fresh and doesn’t go off before I eat it! 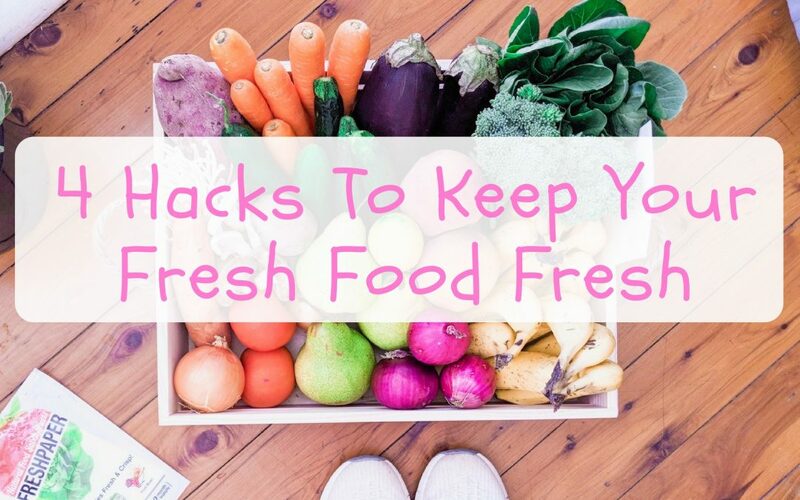 Try these hacks and see how much longer your fresh food lasts! Keep your fridge clean & moisture free – bacteria and mold need moisture to grow, so it’s important to keep your fridge relatively moisture free. Keep your fridge moisture free by wiping it down regularly and lining your crisper with a few sheets of paper towel to absorb the condensation when your veggies chill. Regularly clean your fridge out to too to avoid a mold & bacteria building up and causing your food to spoil. Use Fresh Paper – Fresh Paper is a small piece of bio-degradable paper infused with a combination of organic spices that can keep your fresh food fresher by up to 4x longer! It’s extremely simple and easy to use – you just place a sheet of Fresh Paper in your fruit bowl, crisper drawer or berry punnet and it will keep your food fresh and extend the shelf life. Fresh Paper work both in and out of the fridge and last up to a month! They are extremely affordable (they equate to ~$2 a week) and can save you lots of money in unwasted food! Fresh Paper is completely safe for children and families as has it no chemicals or no nasties & is also environmentally friendly as it is recyclable & compostable! Click here to shop Fresh Paper. Avocados – store at room temperature until they ripen. Ripe avocadoes can then be kept in the fridge for 2-3days until eaten. Mangoes – can be stored on bench top, but to extend the shelf life, store in fridge. Apples – stores in the fridge to extend their shelf life by up to 4 weeks. Tomatoes – store at room temperature in light. Broccoli – store in the fridge. Persimmons – store at room temperature to extend their shelf life. Asparagus – wrap a damp towel around the ends & store in a crisper or stand them upright in a container of water in the fridge. Lettuce & leafy greens – keep chilled in a cooler bag unwashed in the fridge. Potatoes & sweet potatoes – store in a dark space in the pantry, but once cut, keep in the fridge. Papaya – allow it to ripen in a fruit bowl and then store in fridge to extend shelf life. Mushrooms – store in paper bag in the fridge. Stone fruit, pears & citrus fruit – store on bench until ripe & then fridge once ripened to extend shelf life. Berries – store unwashed in fridge. Beans & zucchini – store in fridge in crisper draw. 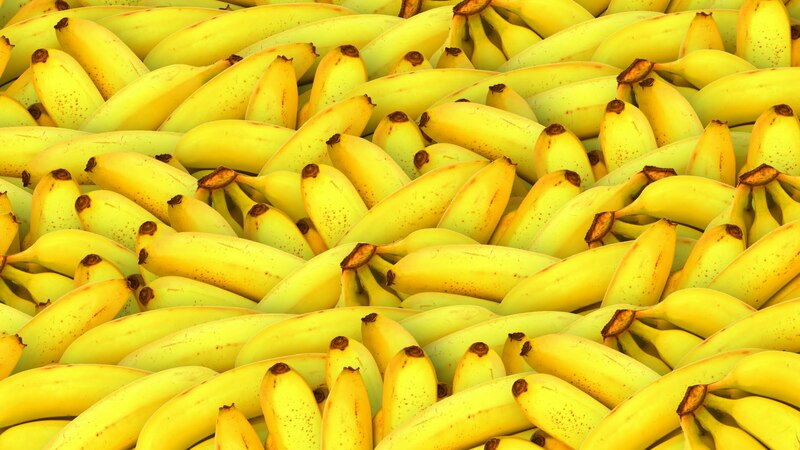 Store ethylene producing fruits away from other fresh food – bananas, pears, apples, kiwi fruit, tomatoes & figs release a gas called ethylene that speeds up the ripening process of themselves and the food around them. If you want to extend the self life of your fruit and veggies, don’t store these ethylene producing fruits with or next to your other fruit and veggies. Editor’s Note: This article is proudly sponsored by Fresh Paper. All opinions are my own and not influenced in any way.